For example, in addition to the price changes for some bottlings, it has led to the complete disappearance of others from the market. If I think, for example, of the 10-year-old Yamazaki with its unbelievably voluminous fruit tones, which I always held in high esteem, I still sometimes become wistful. But also when I consider that once you could buy an 18-year-old Yamazaki for 80 Euros. Today such a bottle costs almost about 600 Euros and the end of the price development is probably not reached. But in this context, the broad impact of the Japanese whisky hype is also interesting. Because while one might think that only the demand for the Yamazaki Single Malt Sherry Cask 2013 would have been affected, my examples show the effect on the whole Yamazaki range. But the Yamazaki bottlings are not the end of the story either. 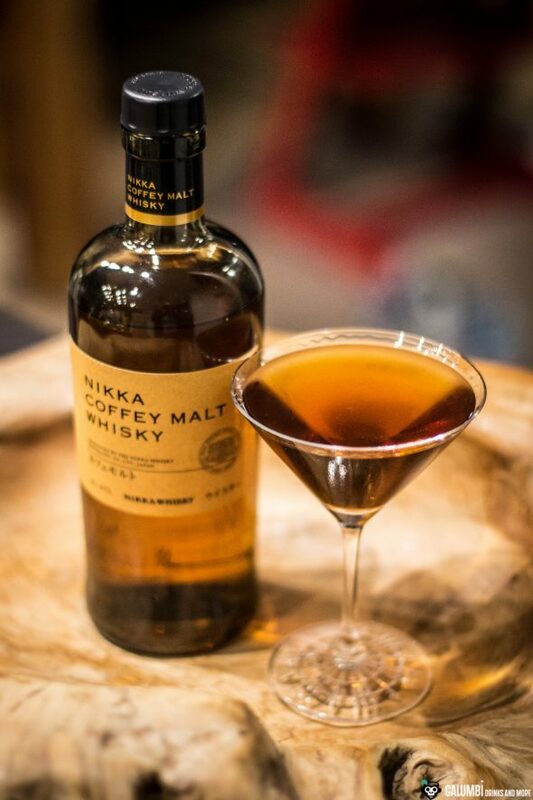 While the Yamazaki whiskys belong to the Suntory group, Nikka is another Japanese whisky producer whose history is closely linked to that of today’s competitor. Until 1963, Suntory was known under the name Kotobukiya Company and in the 1920s, a man called Masataka Taketsuru was a one of the leading figures in establishing the Yamazaki distillery as the first Japanese whisky distillery. Masataka Taketsuru was a Japanese businessman and chemist who travelled to Scotland in 1918 to study organic chemistry and, above all, the practical production of malt whisky (especially at the Hazelburn Distillery in Campbeltown). Back in Japan, he first worked for the Suntory predecessor Kotobukiya, but then founded his own company under the name Nikka in 1934 and first established the Yoichi Distillery in Yoichi on the northern island of Hokkaido. In 1969, the Miyagikyo Distillery in Aoba-ku, Sendai in the north of the main island Honshū was founded as the company‘s second whisky distillery. And also Nikka whiskys have been praised to this day for their quality, so that it is not surprising that the Nikka assortment has also undergone a change and that many bottlings with an age indication had to be taken out of the portfolio due to the high demand and the lack of stocks. And that brings me to today’s bottle, which bears the beautiful name Nikka Coffey Malt Whisky. If you should ask yourself what exactly a Coffee Malt might be and whether roasted coffee or something like that was used here, I have to stop you right now and point out this astonishingly popular mistake: Coffey does not mean coffee! Coffey was rather the surname of an Irish engineer. Aeneas Coffey, who died in 1852. He was the developer of a type of column distillation plant that is still in use today around the world, which is mostly called Column Still, but also Coffey Still. 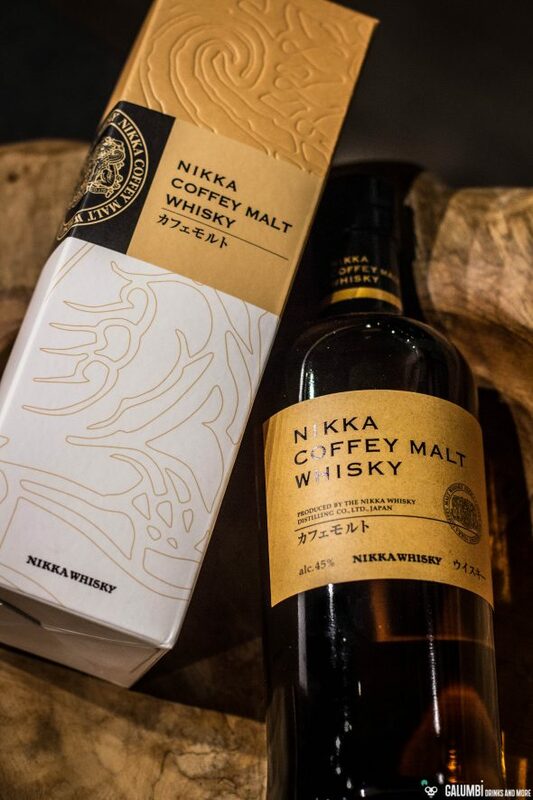 And this is exactly where the name of the Nikka Coffey Malt Whisky comes from. 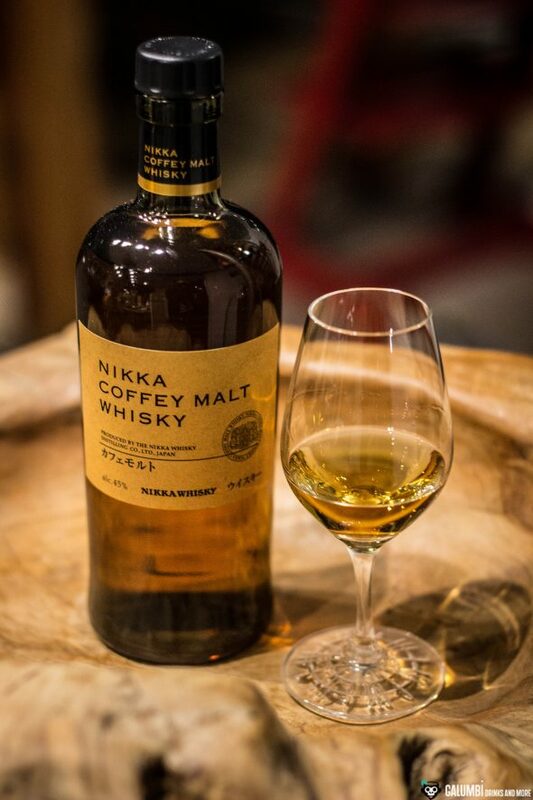 Nikka Coffey Malt Whisky is distilled on such Coffey Stills in Nikka’s Miyagikyo Distillery. This is quite special because Coffey stills are usually used for the production of grain whiskys and not for malts or single malts. 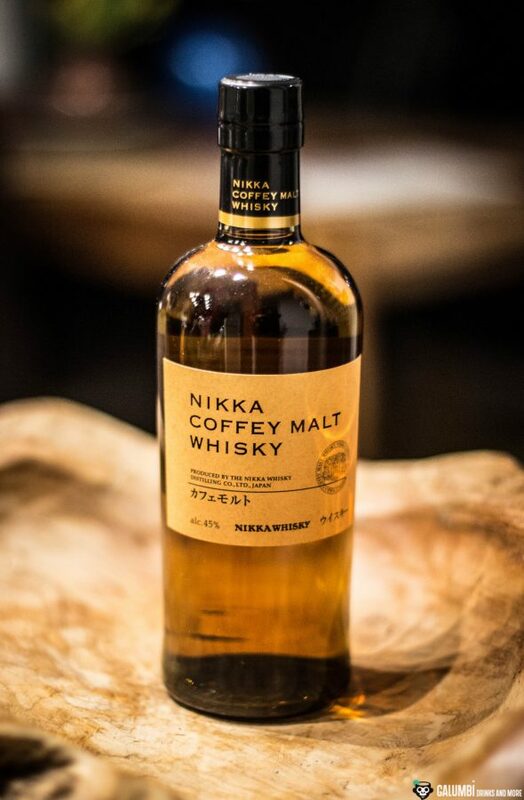 And even though also the Miyagikyo Distillery uses its Coffey Stills mainly for grain whiskys in the course of its blended whisky production, in this case a Malt Whisky made of malted barley was distilled on the Coffey Stills, which is expected to have a very special character. We don’t get to know an exact age of maturation, but with an ABV of 45% we have a promising alcohol strength (and in addition a very nicely designed packaging and an elegant bottle). Let’s see how the Nikka Coffey Malt Whisky performs in the tasting. Aroma: Light fruits (red apples, also some pear and a nuance of nectarine) and citrus tones together with gingerbread spices form the first impression. A beautiful vanilla and roasted coffee notes with tart cocoa, dried tobacco and some honey round off the aromatic picture. Before this tasting I have often come across the mention of intensive adhesive notes, but I can find these only with a lot of imagination and cannot really agree with the accompanying criticism. Taste: Here, also, the light fruits are present; however, they must give up clearly more space to the barrel notes, which make themselves noticeable with oak notes, spices and vanilla. Again, there is also some roasted coffee. Over time, a Williams pear comes through, which I like very much. Finish: relatively dry, but long and spicy. 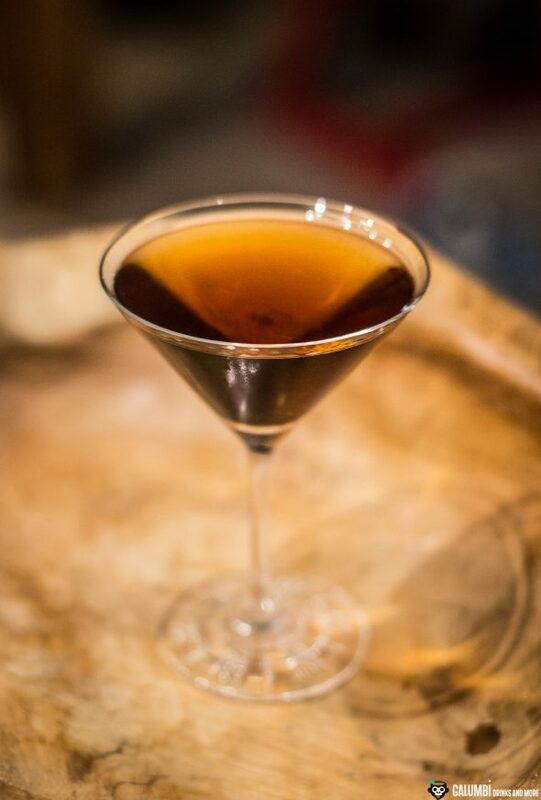 Even though the name of my cocktail certainly won’t help to clear up the misunderstandings surrounding the name “Coffey”, above all it have been the beautiful roasted coffee tones in the whisky that inspired me to make this drink. I have combined the Nikka Coffey Malt with a liqueur from the Spanish region of Galicia (I wrote about some aspects of Galician drinking culture in the course of my article about the Queimada), which is produced on the basis of the Galician pomace brandy Orujo – but in an emergency other coffee liqueurs also work as substitutes. In addition, there are two dashes of the very beautiful Dr. Sours Bitters #12, which bring very nice chocolate and tea tones with their smoky Mezcal base. 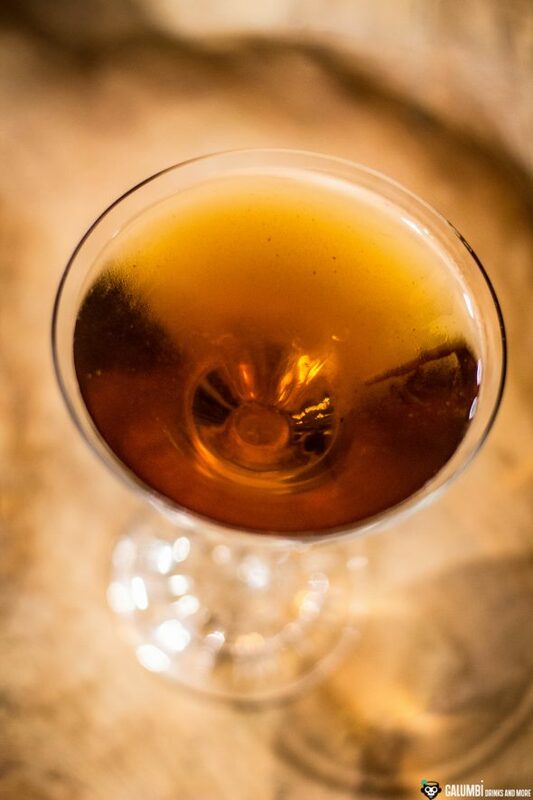 Everything is rounded off with a hint of matured Calvados to underline the fruity notes. 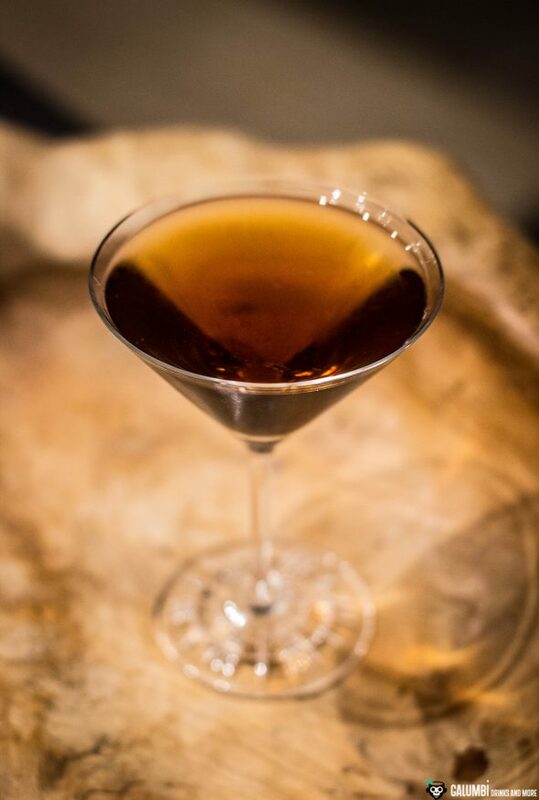 I really couldn’t get enough of this cocktail and so I simply called it “Coffey Addict”. 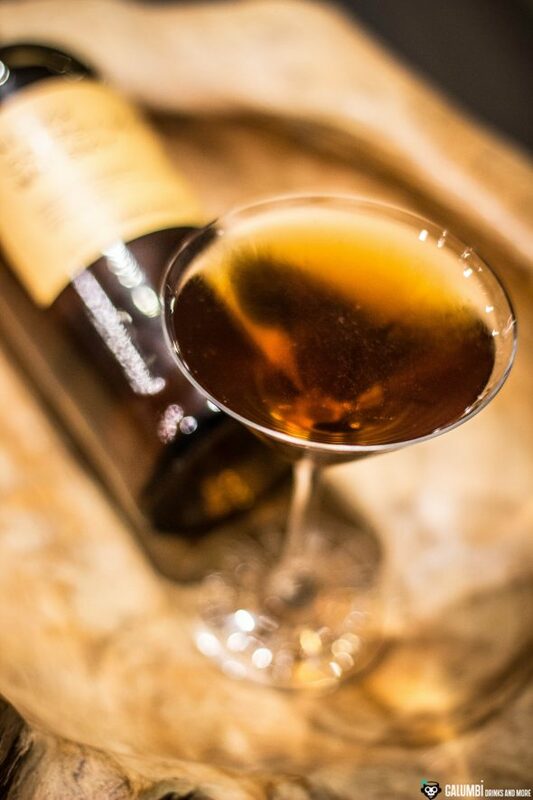 Preparation: Stir all ingredients on ice until cold and strain into a pre-cooled glass.